This review will explore all the real facts about First Aid Beauty Ultra Repair Face Moisturizer so that you can make an informed choice. The manufacturer of this product claims that it can offer your skin instant hydration which will, therefore, give you noticeably softer and smoother skin. This product also claims that it is suitable for daily use. Colloidal Oatmeal contains beta-glucans which can reduce inflammation and improve collagen production, it also acts as a gentle exfoliator and can be used to repair damaged skin, relieve itching and provide moisture. Shea Butter works as an emollient and can also help to reduce inflammation of the skin. Avocado Oil may help to soothe and heal skin. Meadowfoam Seed Oil can help moisturize and rejuvenate skin while also preventing moisture loss. The Fab Antioxidant Booster blend used contains Licorice Root which may assist with itchy inflamed skin, Feverfew which offers antioxidant and antibacterial properties and lastly White Tea Extracts which also offers antioxidant benefits. This product may use vegan friendly ingredients that seem relatively safe to use, however, there is no indication that any of these ingredients are clinically proven or patented which is concerning because for a facial moisturizer to be effective it should contain a minimum of 10% active ingredients and at least 5 patented ingredients that are clinically proven. Patented ingredients such as Pentavitin can provide skin with up to 72 hours of hydration and effectively moisturize skin. There are numerous patented ingredients to look for in a product that would effectively improve skin health. It is recommended that you should apply this product twice a day, once in the morning and again in the evening after cleansing. The manufacturer does provide clear instructions that suggest this product is somewhat easy to use. You can purchase this product online directly from the manufacturer’s website and one bottle containing 1.7 oz will cost you $24.00. Unfortunately, there are no discounts or bulk purchase options offered for this product which is disappointing. The manufacturer provides a refund policy which states that you may return this product within 30 days of purchase. Additional details state that the refunds are only relevant for products purchased from the manufacturer and should be either unopened or only slightly used. When considering that Ultra Repair Face Moisturizer is reasonably priced and that the manufacturer does provide a significant refund policy in place of a money back guarantee, it could be an ok product. However, realistically this product lacks effective clinically proven ingredients which indicates that it may not be effective. The manufacturer also neglects to endorse customer satisfaction by providing discounted options unlike products from leading brands and unfortunately, when comparing this product to other similar products, it does not seem superior in anyway and therefore, you should rather consider opting for a more suitable product that has proven to be effective. 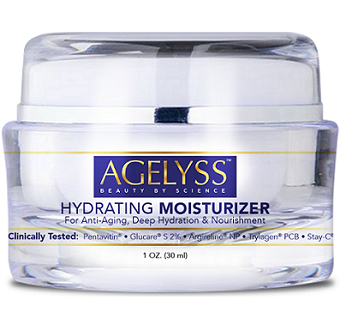 Next: Agelyss Hydrating Moisturizer Review: How Effective Is This Product?